Annie has worked in the health and fitness industry for over 20 years promoting wellness to her clients in a variety of settings including studio, fitness, corporate and clinical. She is a practitioner of the contemporary Stott Pilates method and holds certifications in Comprehensive Mat/Apparatus, Injuries and Special Populations, Total Barre and is an Instructor Trainer at Mindful Movement Collective LLC in Newark. In addition she is an ACE certified personal trainer and Registered Dietitian since 1988. After a low back injury from distance running and with the birth of her third child, Annie was introduced to Pilates and immediately experienced the rehabilitative benefits in both body and mind. In 2002 she started. her certification training. 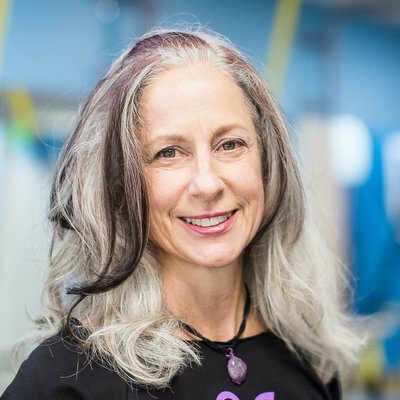 She enjoys designing individualized programs as well as creative group class formats that make Pilates accessible to all ages and fitness levels. Annie's mindfulness practice also includes spending quality time with friends and her three children; John, Juliana and Jocelyn. She also enjoys exploring nature with her two canine companions.